Throughout the year we strive to keep you abreast of the latest in technologies and trends. 2017 has witnessed the adoption of integrated voice control, amazing advances in LEDs, incredible strides in virtual reality and much, much more! Our smart homes are getting smarter, but how can we use their features to make our homes safer? Well, here are some simple ways to put your home automation system to work, ensuring you and your family a happy, healthy and safe holiday season. Every deterrent counts when your home’s vulnerability is assessed and a well-lit home is your first defense against would-be burglars. Use landscape lighting, flood lights and motion-activated lighting around your entire home. Inside & outdoors, create lighting scenes that realistically mimic your patterns while you’re away. Lights, shades, televisions and even the Christmas tree can be programmed on alternating sequences to simulate that lived-in look. Be cyber safe by updating your home network. We’re savvy to the latest potential threats and can help protect your home’s critical infrastructure. If you’ve got a home security system, use it. If you don’t have one, call us. If you’ve got one and haven’t used it for a while, call us to schedule to check. Aside from deterring potential thieves, a monitored security system alerts first responders to fire and medical emergencies. And this is a great time to check that your carbon monoxide detectors are working properly. Automated door locks (keyless smartlocks) with integrated alarms and anti-pick shields add an extra layer of security and convenience. Enhance your security system with cameras and motion sensors. Their presence alone is a great deterrent. You’ll be able to keep an eye on things while away and access recordings should any misdeeds occur. Embrace the technology at hand and use the myriad features available. They offer incredible convenience and peace of mind. Eliminate the possibility of having your garage door breached while you’re away for extended periods. Simply disconnect it from its power source. We’re our own worst enemies. Don’t flaunt those exquisitely wrapped gifts in the windows for all to see, hold off on that social post from your exotic holiday locale until you’re back home and break down the boxes that your new electronic toys came in to avoid curbside advertising of what’s new on the inside. Be smart and stay safe and healthy this holiday season. If you have any questions about home automation and its role in your safety and security, please contact us. We’re here to help. Wishing you and yours the happiest of holidays. We’ve all been there – you’re running late to work and you realize you never locked the door or closed the garage and you’re already at the office. If you are one of these people, a smart lock or garage might be for you! With these smart security features, you’ll no longer need to rely solely on your existing monitoring system. By pairing your monitoring system with a smart lock or smart garage, you’re gaining 24/7 remote access to your home and who’s allowed in it – all from your smartphone or tablet. With features like keyless entry, remote locking and alert options, leaving a key under the mat is no longer necessary. Smart locks and apps like Alarm.com’s have the ability to send you alerts whenever someone enters your home – and you will always know who it is, thanks to unique security codes you can set for each user. And good news for those forgetful folks: these apps can also send reminders whenever you forget to lock the door or close the garage, thanks to GPS monitoring on your phone. Thankfully, you’ll always have the ability to remotely lock and unlock your door. Want more? Considering a smart lock with a video doorbell, or a camera that records each time your front door is opened. And if you’re one of the 70 percent of people who uses their garage as their main point-of-entry, some apps also feature alerts when movement is tracked by image sensors in your garage. And with a top-notch camera system, such as Luma Surveillance, you can even access remote playback and view live feed via their app. 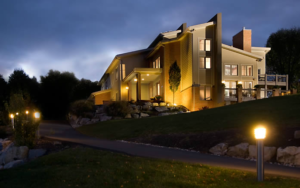 Regardless of which smart home security technology you think is right for you, make sure you pair it with a professionally-monitored security system. 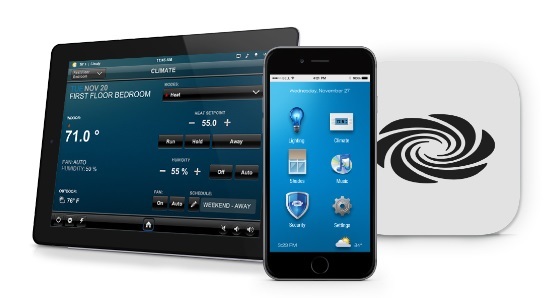 LaScala can help you pair features with your current or desired home automation system. For monitoring, we partner with Provident Security to keep your home secure. Give us a call and let’s get started. Then, you’ll be able to rest assured that your family (and belongings) are safe.